Big news for octopus lovers and bibliophiles! 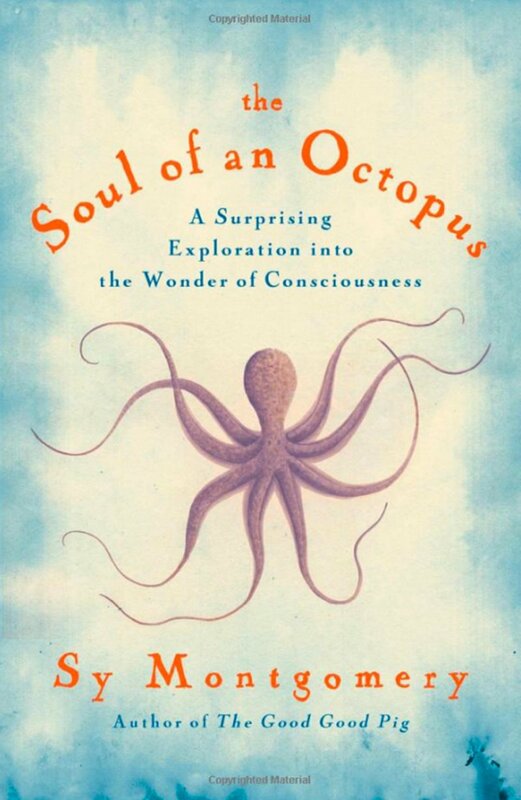 Our friend and author Sy Montgomery—who gave an Aquarium lecture last night with Keith Ellenbogen and earlier this year—was nominated for a National Book Award in nonfiction for her book Soul of an Octopus. Congratulations, Sy! Signed copies of the book are available in our Gift Shop. 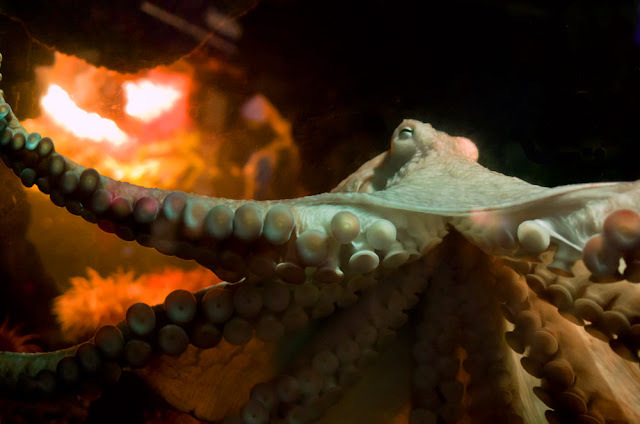 The Soul of an Octopus is really a love letter to cephalopods in general and a couple of the New England Aquarium’s giant Pacific octopuses in particular. In a sense, Sy does follow Athena into the water. She delves into myths about octopuses, she travels to visit scientists studying octopus intelligence and she dives in Mexico and French Polynesia in search of octopuses in the wild. Pick up this lovely book at the Aquarium Gift Shop! Athena was also the subject of a fascinating and lengthy article in Orion magazine, an international nature magazine. On a cold day one winter afternoon, Athena absolutely enthralled Sy, a former Boston Globe columnist and prominent nature writer, with a very interactive visit. Like the book, it is a wonderful read. With all this publicity and admiration for these eight-armed creatures, there will likely be more fans of octopuses around the world! For that, we couldn't be more excited.